We like to gingerly walk up to it and then make sure everything is okay to proceed. A kindergarten teacher encouraged me to draw. A 4th grade teacher encouraged me not to pursue anything with math as a vocation. A bully in 5th grade taught me not to trust others. An ex-girlfriend encouraged me to find a hobby. An ex-wife encouraged me to leave and find somewhere else to stay. Look at this guy. So full of hope and confidence. What happened? Brian met Weird Al Yankovic at the Vatican. It was on his resume for years. He is color-blind. Please don’t bring that up. He is kinda sensitive about it. 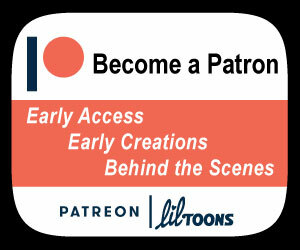 We would like you to support our Patreon page. If you don’t support me, I’ll have to get a real job.